Social Security Income – If your only source of income is Social Security, it means you wouldn’t need to file a return under normal circumstances. However, you may still want to file in case you are eligible for a tax credit that would lead to a refund. Earned Income – If you earned some kind of income during retirement you likely need to file a tax return. That income can come from part-time work, or being self-employed and earning more than $400 in the year. Other Income – Withdrawals from tax-deferred retirement plans, such as a Traditional IRA or a 401(k), are taxable and can also trigger the need to file a return. The same is true when you trigger a capital gain event, such as selling an asset for a profit. There are many things that might trigger the need to file a return. It just depends on your own personal situation. A common question among individuals about to retire is if their social security benefits will be taxed when they receive them. Under situations where your only income is Social Security you almost always will avoid being taxed on the benefits. However, if you have earned income or other income during the year while receiving Social Security benefits you might be taxed. How can you know? The rule of thumb for taxing Social Security benefits is whether your Modified Adjusted Gross Income (MAGI) is more than your Social Security base amount. If your MAGI is higher than the base amount part of your benefits may be taxed. This means you need to know your MAGI and your Social Security base amount. Your MAGI is calculated as: 50% of your Social Security benefits plus all other income, including tax-exempt interest. What is Social Security Base Amount? In this scenario part of their Social Security benefits would be taxed. If your finances is very simple, it is probably worth the effort to use a free online tax software (both TurboTax and H&R Block offer a free option) to verify your filing requirement and if you owe money or due a refund. If your finances is more complicated than that, it is like that you need to file a tax return and it would be wise to spend a few dollars a tax software or spend some time with a tax professional. It is a small price to pay to know you are avoiding the wrath of the IRS you would incur by not filing (and paying taxes) if you owed for a given year. @D – Sorry about your dad and the late response. You’d file on his behalf as he normally would and there’s a field that indicate he’s deceased. @Clyde – The best way to deal with this is to enter all of your info into one of the free tax preparation programs or seek out a professional tax preparer. Often, better to file even if you think you don’t have too because you might be eligible for credits that you aren’t aware of. @Aurea – Please see my answer for Clyde above. Also, there more requirement for expats that you have to follow. Be sure to find a preparer that specializes in expat tax filing. My husband & I are both retired and both receive social security and live outside the united states. Our checks are direct deposited in a US Bank. Our total SSS benefits is $20,107. We both get 401K retirement benefits totaling $4,860 annually. 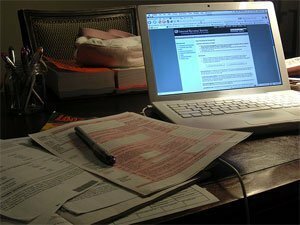 Do we have to file Federal Income Tax Return? I am 73 years old and suffer from cancer. If the only income one has besides Social Security is a teacher’s retirement from the state and there is no other source, what are regulations on the other retirement? Must I pay an income tax just on retirement income? I have a question that has been on my mind….my dad passed away in October 2011. I have to file his 2011 tax returns so how do I file them (ie head-of household)?